Effective July 30th, WFB Talk Continues will be the New Home for the Independent Sports Network to be utilized for all Audio Game Broadcasts. All current programming on WFB Talk Continues will be moved to the original WFB Talk station starting August 1st with 4 Quarters with Coach Lee that can be heard EVERY Monday at 7pm-pst. 100th Show Tonight on 4 Quarters with Coach Lee . . . You won’t want to miss it!! 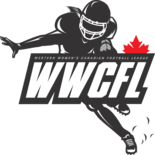 Tune in at 7pm-pst ….. join Coach Lee at the Women’s Tackle Football Group during the show for some Chat. Twan Russell, Miami Dolphins Director of Youth and Community Programs, will be on this Sunday to discuss the recent Girls High School Flag Skills Clinic held March 2, where over 450 female student athletes representing 16 high school teams participated. To learn more about the programs available, visit www.dolphinsacademy.com. Click HERE to Listen LIVE this Sunday, March 13 at 3pm(pst).